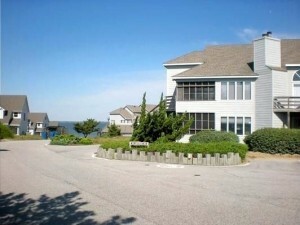 The Nantucket condominiums are beautifully set on the Currituck Sound in the southern end of Duck, NC. Quiet and peaceful, they feature an indoor heated pool available for summertime enjoyment, tennis courts for the active owner, a pier with gazebo for fishing and crabbing, a small sandy beach, and a boat ramp for easy access to the sound. Fantastic sunsets and spectacular water views come free.